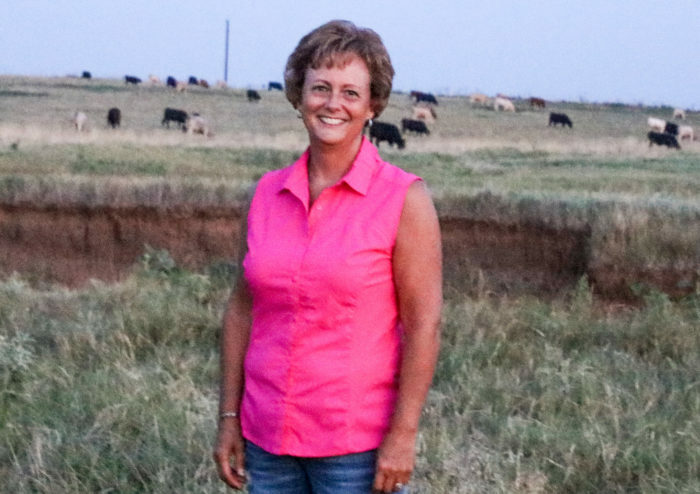 Meg Stangl of Okarche is being recognized as a significant woman in Oklahoma agriculture. OKARCHE – What is it that for decades has made a child’s ear or nose itch so bad right when a sale barn auctioneer kicks into gear? Meg Stangl’s father John Murphy, well aware of this mysterious power, had a rule when he took one or more his children to the sale. Stangl, who was raised on the Murphy Ranch in the tallgrass prairie up in the Osage, lives in Kingfisher County near Okarche where she and husband Greg Stangl have a wheat farm, with an emphasis on stocker grazing, along with a starter/grow yard. The joy and the experiences within some trips is more the journey than the destination. Stangl’s story is a lot like that. What she lived and what she learned along the way is certainly a factor in who she is. Then there were the sale days. It wasn’t just going to the sale barn café for burgers, fries and homemade pies that made them special. Those days taught Stangl about not only raising cattle, but taking pride in those cattle. “Not to brag, but Dad usually did very well with his black baldy calves and the auctioneer always announced that the calves selling were from the Murphy Ranch,” she said. The children weren’t just observers in raising cattle. Besides the hands-on work of the ranch, Stangl became active in 4-H, showing sheep, cooking, sewing, judging livestock and taking on leadership roles. That passion for agriculture carried on to Oklahoma State University where she worked at the OSU feed mill learning about animal nutrition and in the Agricultural Economics computer department. “By my senior year, I knew I wanted a career in the agriculture industry and also be an ambassador for agriculture by volunteering with the youth,” said Stangl, who graduated with an Agricultural Economics degree with an option in Farm and Ranch Management. After OSU she went to work for Stillwater National Bank where she eventually became a lender of small business and agriculture loans. In 1999, Meg married Greg Stangl and moved herself and her, at that time, two young daughters, to his family farm in Kingfisher County. In 2012, Stangl’s father passed away, and the ranch was passed to Meg and her siblings, with her brothers actively operating the ranch today. Again, it’s part of the journey. This is a journey they have taken with their three daughters, Molly, Amy and Catherine. This is a journey of taking quarters of land that they own and renting other acres of a Centennial Farm from Greg’s dad, who recently retired. This is a journey of implementing no-till or minimal tilling on much of their land for not only conservation purposes, but to reduce equipment wear and fuel costs. They also have their own feed mill and raise a variety of silage crops during the summer months. They retain ownership of some of their stockers sending them on to feedlots, while others are sold at local markets. They have varied their operation in many ways and continue to evaluate those approaches and look for others if needed. As if there is any time left in her days, Stangl is a member of the Holy Trinity Catholic Church, a member of the Oklahoma CattleWomen, a Meals on Wheels volunteer and a coordinator for the Okarche Girls State Delegates. 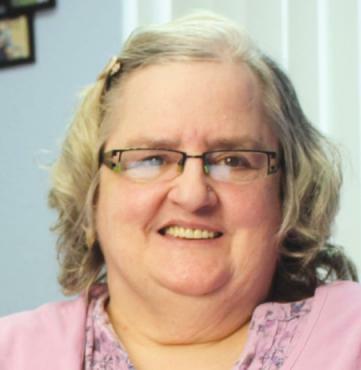 Darlene Franklin is both a resident of Crossroads of Love and Grace in Oklahoma City, and a full-time writer. God works in multiple specialties—cardiology, neurology, psychiatry, orthopedics—to bring me to full health. The Holy Spirit probes my heart in ways a heart cath can’t. He looks for blockages, unconfessed sins, in my spirit. He checks my nerve endings to see if my senses are ready to accept and pass on life. God highlights those blockages. Sometimes He allows pain until I confess my wrong ways. As soon I do, He operates, allowing fresh blood to flow again. The same as my physical heart, I need to pursue those things that will keep my new heart healthy. That means obedience and f ellowship, but when I sin, I should confess them immediately, so they don’t build up in my system. I should feed myself God’s word and breathe deeply of His spirit. God the neurosurgeon operates like a gold assayer, looking for the precious metal He put in me. He won’t toss me out because of poor quality. is the quality Instead, He tests me for impurities. What am I thinking? Am I anxious? What do my words reveal? He probes deep into my brain, burning out the cancer cells and filling my mind with centers attune to His Spirit. Follow up care invites me to to have the mind of Christ. It prescribes the right radio stations: whatever is true, noble, right, pure, loyal, worthy of respect, excellent, worthy of praise (Philippians 4:8, NIRV) More of that and less of lust, greed, and discord will allow our minds to stay healthy. God the psychiatrist shows me my offensive ways. He works with me one-on-one and convicts me of sin. I see ways I have offended others. I’ve cut myself off from abundant life when bitterness and fear take root.He shows me how He sees me, and makes the transformation possible. God the orthopedist is the way, the truth the life. I walk in shoes made from the gospel of peace. He strengthens feeble hands and knees: “the lame leap like a deer.” Necessary strength comes from Him. The Divine Healer is available for appointments at any time. He reminds me to check in. He doesn’t need machinery and doesn’t wait for second opinions. But He won’t change me without my consent. Search me, God, and know my heart. Make me love You as I ought to love. Take the dimness of my soul away. See if there is any offensive way in me. Let me seek You and let me find. Lead me in the way everlasting. My heart an altar and Your love, the flame. I received a heart transplant to give and receive love. New mind to think on things not of this earth. A computer chip implanted for when I get lost. One great I AM to foster new life. Staying alive: Can an experimental OMRF drug stop Mike Schuster’s brain cancer? 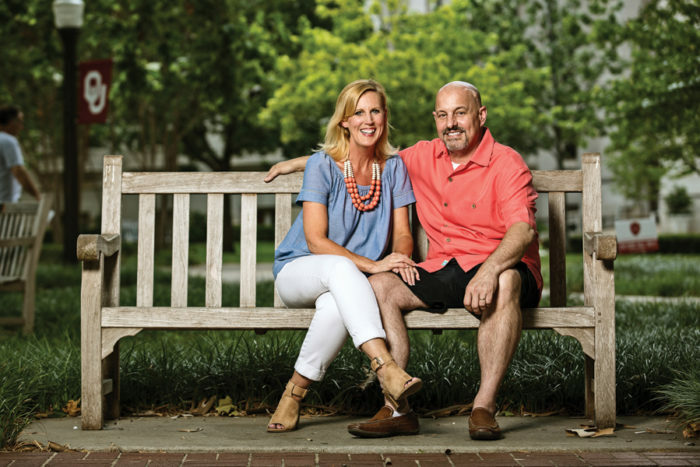 Since he began receiving infusions of OKN-007, Mike Schuster has grown strong enough to take his wife, Teresa, to dinner and to start working out again. ‘I feel really good,’ he said. Last month, Sen. John McCain died from glioblastoma, a form of brain cancer. The same disease took the life of Sen. Edward Kennedy. But here in Oklahoma, Norman’s Mike Schuster continues to live with the disease. As he nears the three-year anniversary of his diagnosis with the deadly cancer, he’s already doubled the life expectancy for patients with glioblastoma. Doctors can’t say why Schuster has lived where others have succumbed to the disease. But they believe it may be because of an experimental drug he received—one that was developed by scientists at the Oklahoma Medical Research Foundation. For Schuster, the first clue that something was awry came in the fall of 2015, just past his 50th birthday. While at work, he passed out with no warning. Of the more than 120 types of brain and central nervous system tumors, Schuster’s type, known as a glioblastoma, is the most aggressive. The standard treatment regimen involves surgery to remove as much of the tumor as possible, followed by radiation and chemotherapy. Still, the tumor almost always grows back. With treatment, the median survival—which means half of patients live longer, and half die sooner—is 12 to 18 months. Only 1 in 20 glioblastoma patients will live five years. In a procedure that lasted six hours, doctors removed as much of Schuster’s tumor as they could. When Schuster regained consciousness, his surgeon explained that he’d succeeded in excising most of the tumor. But, he said, like most glioblastomas, this one had “tentacles.” Tiny arms of the tumor had grown into surrounding brain tissue and could not be removed. Schuster began follow-up radiation treatment at the Stephenson Cancer Center at the University of Oklahoma. Even though Schuster couldn’t feel the electromagnetic waves pulsing through his brain, “you could smell it,” he said. He also started chemotherapy, taking a pill called temozolomide. Together, the treatments were intended to kill the tumor cells that remained in the fissures of his brain. Following radiation—doctors limited his treatment to six weeks for fear of triggering a secondary cancer—Schuster stayed on temozolomide. But just after the one-year anniversary of his diagnosis, an MRI revealed a new tumor. A second surgery once again removed the primary tumor. This time, doctors kept Mike awake throughout the procedure to ensure they didn’t damage crucial areas of his brain. Still, many glioblastoma tentacles had escaped surgeons’ reach, remaining lodged in Schuster’s brain. Schuster knew those tentacles were, in essence, seeds that could sprout another full-blown tumor in a matter of weeks. He told Battiste he was willing to try anything to beat back the glioblastoma. He’d read about clinical trials of experimental medications. Was there one that might help him? Battiste, in fact, was testing a new drug that, he said, “just seemed suited for Mike.” It was an investigational medication for glioblastoma that had been born just down the block from Stephenson, in the labs of the Oklahoma Medical Research Foundation. Known as OKN-007, the experimental medication was discovered by OMRF scientists Drs. Rheal Towner and Robert Floyd. In pre-clinical glioblastoma experiments, the compound dramatically decreased cell proliferation (spread) and angiogenesis (formation of new blood vessels), and it turned on the process of removing damaged cells so they can’t become cancerous. Oblato, Inc., a New Jersey subsidiary of Korean biotechnology company GTreeBNT, has acquired the rights to OKN-007 from OMRF. It will move ahead with further trials of the drug in glioblastoma. At Stephenson, Battiste has been cautiously optimistic about the performance of OKN-007 in Schuster and his other patients. “We’ve gone to the highest dosage levels the FDA would allow, and we haven’t seen any negative effects from the drug.” Although evaluating the medication’s effectiveness at stopping the regrowth of tumors is not a primary focus of the early phases of the trial, “it’s helpful to see things looking good” on this front, too, he said. He continues to travel to Oklahoma City each week for infusion treatments with OKN-007. “I really appreciate all of the support we’ve received from Stephenson and from people at OMRF,” he said. 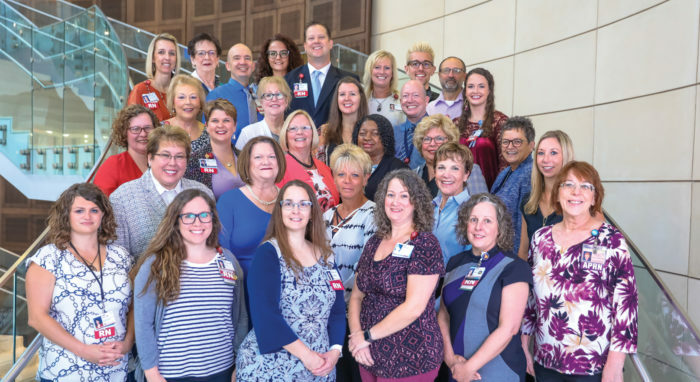 OU Medicine nurses receiving this honor are: Stacie Willoughby, Roxanne Shimp, Heather Graham, Liz Webb, Todd Kahoe, Douglas Gibson, Sharon Wengier, Taylor Risenhoover, Kammie Monarch, Linda Perron, Letitia Breath, Rhonda Farris, Darrin Nobis, Tara Smith, Jeneene Kitz, Nathaniel Pharr-Mahurin, Mindy Miller, Laci Fleenor, Catherine Pierce, Grace Bedford, Nikki Martinez, Mark Wheeler, Crystal Ogle, Annabelle Slater, Toni Steele, Amanda Bobo, Tesie Cates, Pamela Duncan, Kris Wallace, Jamie Kilpatrick, Susan Bedwell and Judy Owen. The Great 100 Nurses Foundation has recently chosen their top 100 registered nurses from Oklahoma and OU Medicine dominated with 32 honorees, the most from any Oklahoma health care organization. The foundation honors thousands of nurses across several states. These exemplary nurses are selected based on their concern for humanity, their contributions to their profession and their mentoring of others. Peers submitted nominations earlier this summer. The 100 chosen nurses across the state will be honored in an invite-only celebration Sept. 10 at the Hard Rock Hotel & Casino in Catoosa, featuring keynote speaker Tracey Moffatt. Out of all of the honorees statewide, OU Medicine has the most award recipients. We are very proud of our program. Each year, community, health care, government leaders, family, friends and peers join together to honor these Great 100 Nurses. The funds raised through the celebration are used not only to honor the nurses involved with the celebration, but to also support nursing advocacy, nursing scholarships, and nursing research for the betterment of lives, publication of nursing discoveries and the implementation of those discoveries. Did You See Hearing Loss Association? Did you see us at the fair? Central Oklahoma Chapter Hearing Loss Association of America (COC HLAA) said, “Hello” to hundreds of Oklahomans with hearing loss during the Senior Day at the Oklahoma State Fair. We had one simple question – Do you know anyone with hearing loss? Spouses and friends pointed to each other, children pointed to parents, and parents pointed to teens. We invited everyone to get their hearing checked and join us for meetings. We also spoke to local organizations about hearing access and hearing loss presentations available through our organization. If you know anyone living with hearing loss, please invite them to join COC HLAA for a meeting. Together we are stronger! COC HLAA offers two meetings each month for your convenience. Meetings are hearing friendly and they are captioned too so you can see what was said. Join us in the evening on the second Monday each month at 6:30PM and on the third Thursday at 1:30PM. All meetings are held at Lakeside Methodist Church, 2925 NW 66 and they are free. There is no charge to become a member of our chapter, to subscribe to our monthly newsletter, or to visit the Hearing Helpers Demonstration Room (HHR), 5100 N Brookline, suite 100. The HHR is open Monday-Friday, 10-3. For more information about Hearing Loss Association of America Central Oklahoma Chapter visit our website — OKCHearingLoss.org. The Oklahoma State Department of Health (OSDH) will offer flu vaccine statewide beginning Monday, Oct. 1 at all county health department locations. Flu shots will be provided at no out-of-pocket cost to recipients. Those with insurance are asked to provide their card showing coverage. Flu vaccination is recommended each year for everyone 6 months of age and older. When more people are vaccinated against the flu, there is less opportunity for flu to spread in families, schools and communities. The flu vaccine is formulated each year to keep up with flu viruses as they change. Also a yearly flu shot is needed because a person’s immune protection from being vaccinated decreases after a year, and yearly vaccination provides the best protection against the flu through the entire flu season. OSDH Interim Commissioner Tom Bates will help kickoff the effort by getting his immunization at the Rogers County Health Department in Claremore next Wednesday morning, October 3. Last flu season there were 291 deaths and 4,819 hospitalizations between September 2017 and May 2018. 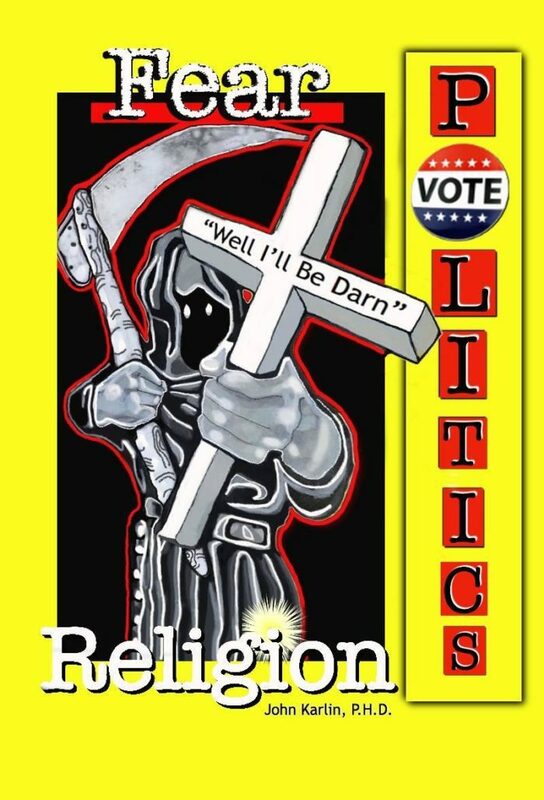 Announcing the publication of ‘Fear, Religion, Politics; Well I’ll Be Darn’ by Dr. John E. Karlin, former professor of Sociology at Northwestern Oklahoma State University, Oklahoma City University and Phillips University, Enid, OK. Dr. Karlin spent over a year in research and writing this excellent work which is currently listed on amazon.com. This book is non-fiction and written with three parts. Part One: Entitled ‘The problem that won’t go away’, examines the relationship between the fear of death and religion. The problem that won’t go away is our own mortality and the consequences of our consciousness of it. Part Two: Entitled ‘The dream’ examines the goal/objective that Jesus Christ’s life, words and actions indicate that he was trying to achieve during his own lifetime. Part Three: Entitled ‘A dream gone awry’ examines the relationship between religion and politics today. That relationship has and continues to destroy any chance of that dream coming true. All three themes are intertwined and explain the political atmosphere today. For more details call: Dr. John Karlin at 405-598-6590. Yes! If you’re 50 or older, there’s a new shingles vaccine on the market that’s far superior to the older vaccine, so now is a great time to get inoculated. Here’s what you should know. Shingles, also known as herpes zoster, is a burning, blistering, often excruciating skin rash that affects around 1 million Americans each year. The same virus that causes chickenpox causes shingles. What happens is the chickenpox virus that most people get as kids never leaves the body. It hides in the nerve cells near the spinal cord and, for some people, emerges later in the form of shingles. In the U.S., almost one out of every three people will develop shingles during their lifetime. While anyone who’s had chickenpox can get shingles, it most commonly occurs in people over age 50, along with people who have weakened immune systems. But you can’t catch shingles from someone else. Early signs of the disease include pain, itching or tingling before a blistering rash appears several days later, and can last up to four weeks. The rash typically occurs on one side of the body, often as a band of blisters that extends from the middle of your back around to the breastbone. It can also appear above an eye or on the side of the face or neck. In addition to the rash, about 20 to 25 percent of those who get shingles go on to develop severe nerve pain (postherpetic neuralgia, or PHN) that can last for months or even years. And in rare cases, shingles can also cause strokes, encephalitis, spinal cord damage and vision loss. The Food and Drug Administration recently approved a new vaccine for shingles called Shingrix (see Shingrix.com), which provides much better protection than the older vaccine, Zostavax. Manufactured by GlaxoSmithKline, Shingrix is 97 percent effective in preventing shingles in people 50 to 69 years old, and 91 percent effective in those 70 and older. By comparison, Zostavax is 70 percent effective in your 50s; 64 percent effective in your 60s; 41 percent effective in your 70s; and 18 percent effective in your 80s. Shingrix is also better that Zostavax in preventing nerve pain that continues after a shingles rash has cleared – about 90 percent effective versus 65 percent effective. Because of this enhanced protection, the Center for Disease Control and Prevention recommends that everyone age 50 and older, receive the Shingrix vaccine, which is given in two doses, two to six months apart. Even if you’ve already had shingles, you still need these vaccinations because reoccurring cases are possible. The CDC also recommends that anyone previously vaccinated with Zostavax be revaccinated with Shingrix. Shingrix – which costs around $280 for both doses – is (or will soon be) covered by insurance including Medicare Part D prescription drug plans, but be aware that the shingles vaccines are not always well covered. So before getting vaccinated, call your plan to find out if it’s covered, and if so, which pharmacies and doctors in your area you should use to insure the best coverage. Or, if you don’t have health insurance or you’re experiencing medical or financial hardship, you might qualify for GlaxoSmithKline’s Patient Assistance Program, which provides free vaccinations to those who are eligible. For details, go to GSKforyou.com. Woodson Park Senior Center – 3401 S. May Ave.
Norman Regional Hosp Moore (Conference Room) – 700 S. Telephone rd. INTEGRIS Heart Hospital is one of the first hospitals in Oklahoma to offer the world’s smallest pacemaker for patients with bradycardia. The Micra® Transcatheter Pacing System (TPS) is a new type of heart device, approved for Medicare reimbursement, that provides patients with the most advanced pacing technology at one-tenth the size of a traditional pacemaker. The first procedure at INTEGRIS Baptist Medical Center was performed by Terrance Khastgir, M.D., a cardiac electrophysiologist with INTEGRIS Heart Hospital, on Aug. 7, 2018. Bradycardia is a condition characterized by a slow or irregular heart rhythm, usually fewer than 60 beats per minute. At this rate, the heart is unable to pump enough oxygen-rich blood to the body during normal activity or exercise, causing dizziness, fatigue, shortness of breath or fainting spells. Pacemakers are the most common way to treat bradycardia to help restore the heart’s normal rhythm and relieve symptoms by sending electrical impulses to the heart to increase the heart rate. 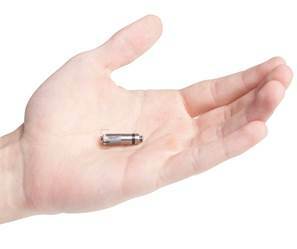 Comparable in size to a large vitamin, physicians at INTEGRIS Heart Hospital have elected to use Medtronic’s Micra TPS because unlike traditional pacemakers, the device does not require cardiac wires (leads) or a surgical “pocket” under the skin to deliver a pacing therapy. Instead, the device is small enough to be delivered through a catheter and implanted directly into the heart with small tines, providing a safe alternative to conventional pacemakers without the complications associated with leads – all while being cosmetically invisible. The Micra TPS is also designed to automatically adjust pacing therapy based on a patient’s activity levels. “This device will allow our patients to get the most advanced technology in pacing the heart for slow heart rate,” stated Khastgir. The Micra TPS also incorporates a retrieval feature to enable retrieval of the device when possible; however, the device is designed to be left in the body. For patients who need more than one heart device, the miniaturized Micra TPS was designed with a unique feature that enables it to be permanently turned off so it can remain in the body and a new device can be implanted without risk of electrical interaction. The Micra TPS is the first and only transcatheter pacing system to be approved for both 1.5 and 3 Tesla (T) full-body magnetic resonance imaging (MRI) scans and is designed to allow patients to be followed by their physicians and send data remotely via the Medtronic CareLink® Network. The Micra TPS was approved by the U.S. Food and Drug Administration in April 2016, and has been granted Medicare reimbursement, allowing broad patient access to the novel pacing technology.